Professional photography means capturing all the right moments, all the right people, and most importantly in all the right lighting. Photography is all about lighting and understanding it. We are excited about the current climate that has become of photography and love sharing peoples special moments with them. Let us know how we can help you capture the moment by requesting our photography services. 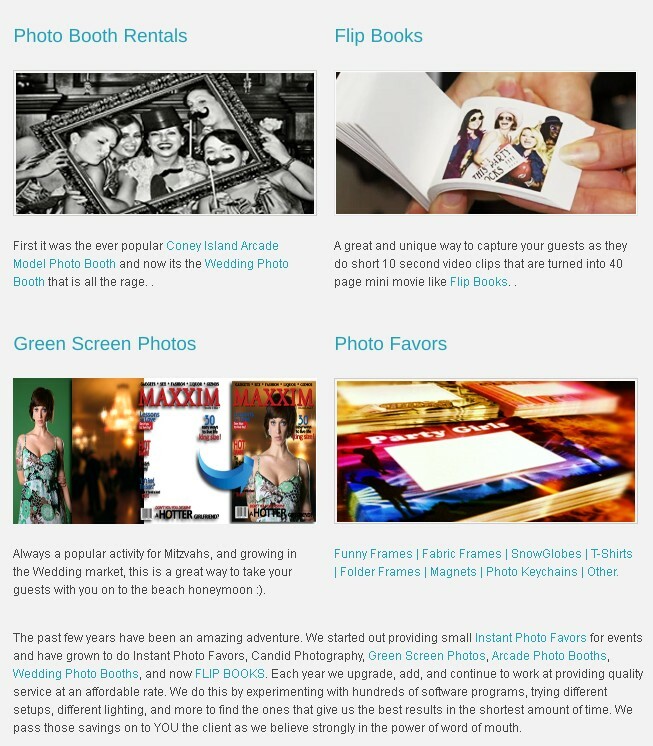 Wedding & Event Photography, Photo Booth Rentals, Flip Books, Superimposed Green Screen , Photo Favors, Fantasy Photos, and any other Corporate Instant Photo service Scott Roth Events along with our Photo Booth department CubbyHole Photo Booths and our Party Entertainment Ideas & Packages for Bar & Bat Mitzvahs, Sweet 16's, Weddings, and Corporate Events is just the thing for you.